The World may have wanted Jessica Sanchez to win the 11th season of American Idol, but America has spoken and placed Phillip Phillips on the thrones of the triumphant. This singer-songwriter from Leesburg, Georgia, who performed Home for his debut single, is of course undeniably deserving of the title. He is the complete package of what we might call "The American Idol". After the buzz of the finale has subsided, many are anxious that the said singer might befall the fate of the other previous winners of the same show. A few have really made it big in their careers and mostly are back to where they were before they joined the show. Hopefully Phillip Phillips will outmatch his predecessors and prove the world of his hard earned title. Phillip Phillips' live acoustic session over Yahoo! 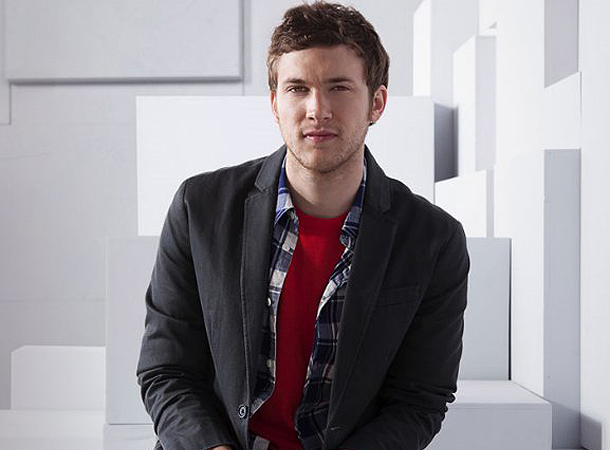 Phillip Phillips' exclusive interview in Yahoo! Dig in this exclusive interview from E! News. Hopefully in the following months we will hear more of Phillip Phillips. He is busy at the moment -- writing his songs for his upcoming album. Hopefully his surgery didn't delay his progress on his career, because personally I really can't wait for his album and see how his writing goes. Hopefully he would snag an award on the Teen's Choice Award since he is nominated for for two teen choice awards including Love Song for his song Home and Breakout Artist. "The world may have wanted Jessica Sanchez to win"? No. Just no. Also another article from the same site -- "Why Phillip Phillips won American Idol Season 11" -- may be helpful.